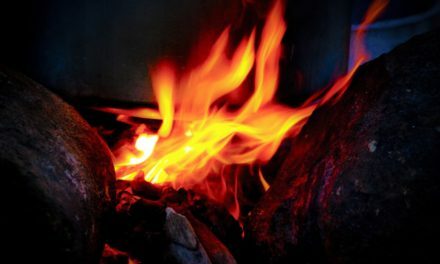 Located just north of Asheville, North Carolina, Sacred Fire Asheville is the oldest consecrated hearth in the international Sacred Fire Community. It is the home of Firekeepers, Lisa Lichtig and Patrick Hanaway, who look after the Sacred Fire Council House, its hearth and community. 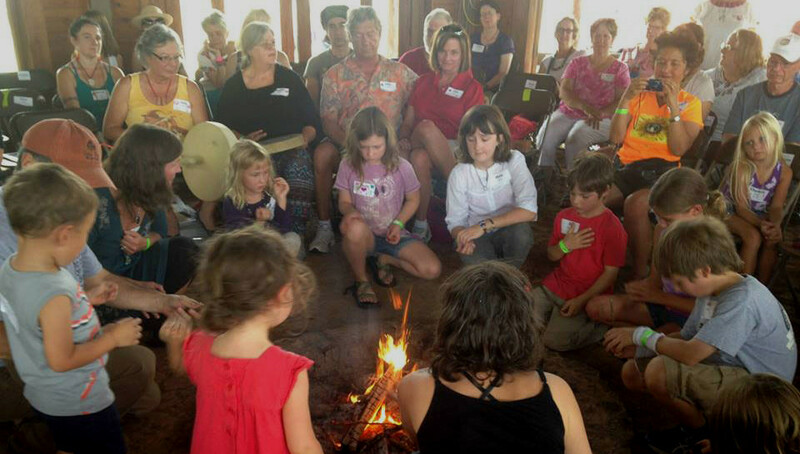 With a community of volunteers, Sacred Fire Asheville offers a variety of experiences and connections that support deeper relationships with ourselves, each other and the natural world throughout the seasons of our lives. 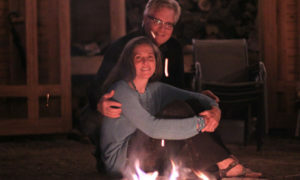 Inspired by a dream that came to Lisa in 2000 which was further guided by don David, Sacred Fire Asheville’s hearth (fire pit) was created out of local soapstone. In 2002, the hearth was consecrated as a place for people to gather for community fires, men’s and women’s fires, special events, seasonal ceremonies and healing. A hearth with this focus needed a shelter so people could receive the medicine of Fire throughout the year, no matter the weather. The firekeepers learned a lot creating just the right shelter for the hearth. A huge pre-Christmas snowstorm in 2009 and gale force winds decimated the third canvas version of the “home for Fire.” The community gathered without shelter for nearly a year. During that time they engaged community in conversations about the shelter — the need, the shape, the size. There were many heated and interesting conversations including the men recommending a rectangular structure to withstand the wind and the women lobbying for a circular shape for obvious reasons. They listened to each other fully and their relationships with each other and the hearth began to grow and deepen. One night the sky weighed in on the topic and revealed a huge round white circle in the sky… and that, was that. A team of volunteers with skill and talent thoughtfully designed the new shelter. The firekeepers funded the project as a gift to community and a way to honor Grandfather Fire’s presence in our lives. Community members were employed and volunteered to create the beautiful home for Grandfather Fire and a place for community to safely gather. 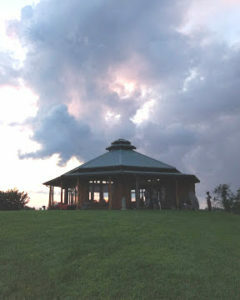 In March 2012, the new shelter was enlivened and consecrated ceremonially and given a traditional name which translates to “Sacred Fire Council House.” It now serves as a beacon which inspires others to live a more balanced and connected life grounded in wisdom. 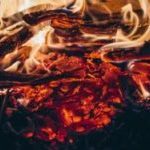 The Sacred Fire Council House is surrounded by 35 acres of pastoral land and forest along the Ivy River with breathtaking views and trails to the river. Sam Proctor, a Muskogee [Creek] elder, recognized the land as a preserve—a place for people to feel refreshed and renewed. This is a place of inspiration where the medicine of the wind, sky, rain, earth, sun and community are strongly present; especially when the Sacred Fire is lit. The firekeepers along with an active group of community volunteers devote their time and love to offer opportunities for people from all walks of life to experience and engage with common human heart and timeless wisdom. 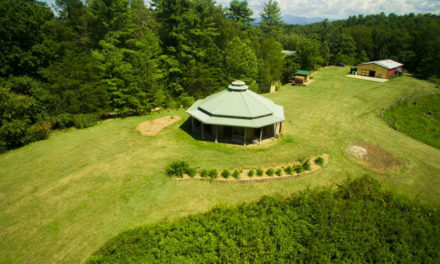 The Sacred Fire Community and Council House near Asheville, fondly referred to as Sacred Fire Asheville, have grown through years of experience to become a place that beckons the people of Western North Carolina and beyond to heartfelt experiences. If you would like to receive news and invitations from Sacred Fire Asheville, please visit our local links. The firekeepers ask that people refrain from using drugs or alcohol on the premises. Contact firekeeper@nullsacredfireasheville.org if you have further questions or requests. Posted by the Around the Fire editorial team.